Continuing their streak of being the best, smartest, and most compassionate trolls in America, the Satanic Temple is arguing that a Missouri law requiring a 72-hour waiting period before a woman can have an abortion violates their religious faith. They’re callling on Missouri to waive the waiting period for one of their members, given that a core Satanic religious tenet is control over one’s own body. In a fundraising video posted to GoFundMe, which we saw via ThinkProgress and the Friendly Atheist, “Damien Ba’al,” the president of the Temple’s St. Louis chapter, says that one of their members, a Missouri woman they’re calling Mary, needs to have an abortion. And she shouldn’t have to, Ba’al says; Missouri has a longstanding Religious Freedom Restoration law, similar to the ones passed this year in other states. And since Mary’s faith means complete bodily autonomy, well, Ba’al says, “I wasn’t going to stand by and let Mary’s rights be denied by the state. Myself and the rest of the St. Louis chapter of the Satanic Temple will be helping her circumvent these obstacles so that she’s able to make her own deicision about her body and her medical well-being.” They’re also protecting her “sincerely-held religious beliefs,” he adds (a key aspect of the RFRA). The Temple is raising money on GoFundMe for transportation, lodging, meals, and care for Mary’s child while she’s away. The Friendly Atheist reports that they’ve also drawn up this letter that Mary will present to her physician, which explains her beliefs and reminds him or her that they take precedence over the waiting period requirement. 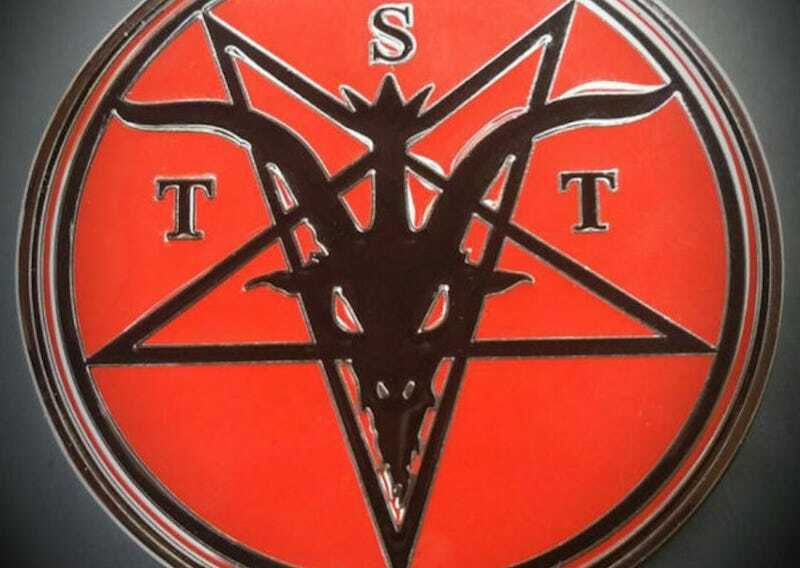 Besides the special fund for Mary, the Satanic Temple has created a Religious Reproductive Rights Legal Aid Fund, which you can donate to right here. Update, 4:50: The Riverfront Times spoke exclusively with “Mary,” learning that she’s a 22-year-old mechanic who learned she’s pregnant about three months ago. She called the waiting period “horrible,” telling RFT: ‘“I personally would have liked to have the procedure done as soon as possible. But with all the difficulties, how hard it is do this, it’s been put off for several weeks. If you’re right on the edge of the state you’ve got to go 500 miles just to get to St. Louis, and you have to make arrangements.” Their full interview with her is here.